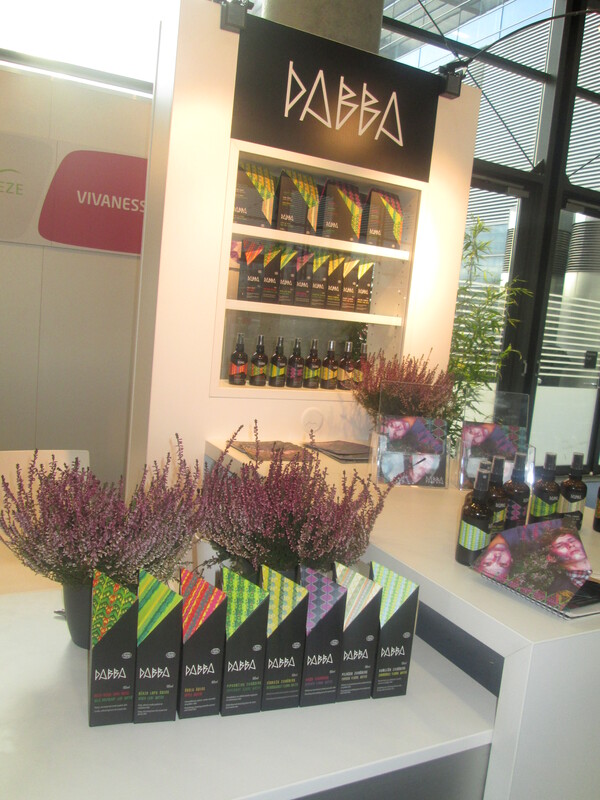 Today is the last day of Vivaness, the biggest European trade show for organic cosmetics. I was in Nuremberg this week to attend the show and had a good time – interesting people, good conversations and some great new niche brands. Vivaness is always inspiring. Amongst the big German exhibitors were Logocos with Logona, Sante and Heliotrop, Dr. Hauschka and Kneipp, Lavera, Santaverde and Primavera as well as smaller German labels like Benecos, Nonique, Demeter-certified Martina Gebhardt, Speick and Luvos.There were also some interesting international companies – my favourites here include Natura Siberica from Russia and Mádara from Latvia, both of which attended the show last year. However much I love the products of some of these companies, the best thing about trade shows is the chance to discover new and exciting international brands. Here are some of the companies that I particularly liked – most of them were first-time exhibitors at Vivaness and almost all of them are not (yet) available in Germany. I’m a big fan of Asian cosmetics and I was delighted to see Kodera Herb Garden again. 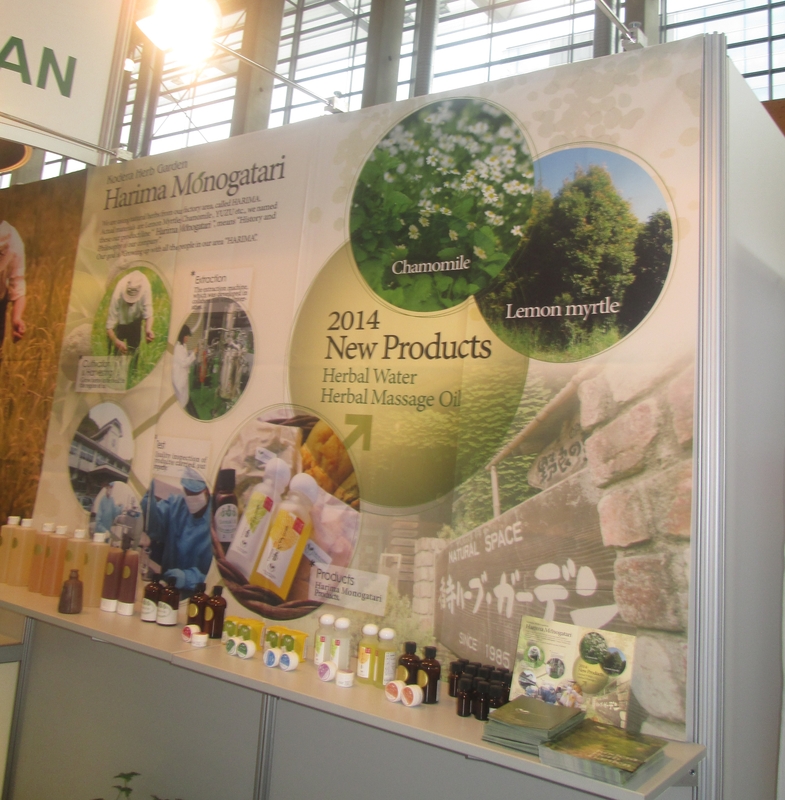 The Japanese company was present at last year’s Biofach trade show (which is held in conjunction with Vivaness) as part of a group of Japanese exhibitors. This year Kodera had a separate stand at Vivaness. 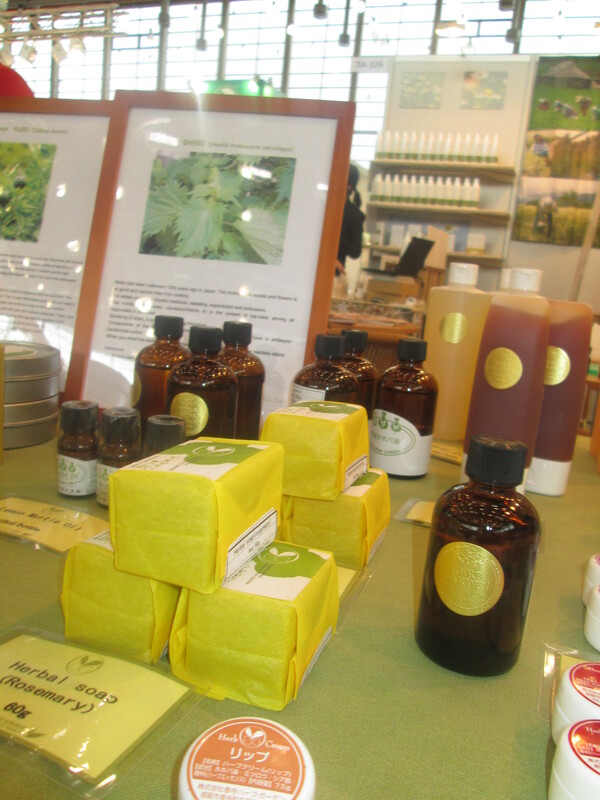 The company comes from Himejishi in Hyogo prefecture near Osaka and makes wonderful herbal cosmetics and essential oils. I love their Yuzu and Shiso oils and the honey mask. Kodera also makes three different shampoos, bar soaps, massage oils, bath essence and facial moisturisers. Right next to Kodera was Kamitsuren, a Japanese company that makes skin and body care products with German chamomile. Their product range includes a skin lotion, skin moisturiser, cleanser and extra rich cream as well as a bath essence and bar soaps. Very beautiful products. No English-language website unfortunately. Another Japanese brand I liked was skin care brand Quon which comes from Nara, the ancient Japanese capital city. The key ingredient in the Quon products is green tea and the range comprises three face oils, a face fluid, lip balms, UV face cream and hand cream as well as lipgloss and a BB powder. Manufacturer Musica‘s second line is called Leona. The Leona products are divided into a black line and a red line. The black line, a foaming facial cleanser, has been formulated with black clay; the red line, with serum, cream, liquid foundation and powder, contains pomegranate extract and purple gromwell root. 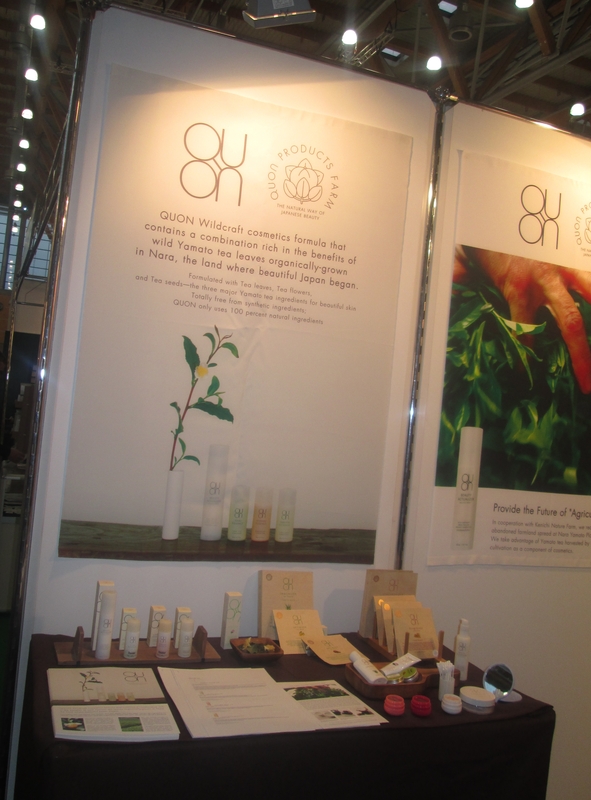 Inlight Organic Skincare is an artisanal face care brand from the UK. The owners are a lovely Italian couple – Mariano and Loredana Spiezia – both of which were at Vivaness at the Inlight stand. Inlight was established in 2001, the company is based in St. Keverne in Cornwall and this is also where the products are manufactured. The production process is traditional, with herbs and flowers infused in oil and except for one toner, Inlight products contain no water. Gorgeous textures. A definite discovery. Another interesting brand is Karethic from France. Karethic makes skin care products with unrefined shea butter which is sourced from a women’s commune of shea tree growers in the West African country of Benin. The range includes massage candles, lip balms, body creams and a hair balm. I also liked Dabba, a brand from Latvia. Dabba makes floral face waters based on different Northern plants – the range currently includes seven face sprays: apple, birch leaf, wild raspberry leaf, yarrow, meadowsweet, peppermint, chamomile and heather. The packaging is gourgeous – check out the pics! – and products are produced locally in Raunas in Northern Latvia. Kivvi Organics is another Latvian brand with great ingredients and nice packaging. In Germany Kivvi is exclusively available through Hilla Naturkosmetik, an online store that specialises in Scandinavian organic beauty. Check out Hilla’s range of very cool brands. German organic brand Jean & Len also has a great brand concept. The company is very new – in fact, Vivaness was their market debut – and unlike most organic beauty brands they don’t just make cosmetics but also household cleansers and washing liquids. The packaging is playful yet stylish and the product range includes shower gels and hair care, children’s skin care products, soaps and deodorants and the aforementioned cleansers and laundry detergents.